How to calculate Winter Solstice? 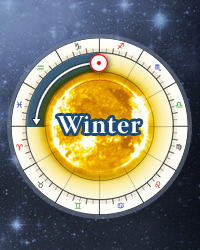 Winter Solstice is the moment in which the Sun enters Capricorn. For Winter Solstices for the next 12 years scroll down the page.